Maybe the best agent against bad dinos is good dinos? We use dinos as a common population, but just like there's good bacteria and bad bacteria, the same can apply to dinos. Zooxanthelle are dinos and they're helpful and symbiotic. Maybe instead of looking at the osteo plaguing a sick system, we should look at what's plentiful in a healthy system. Has anybody had success by getting rid of sandbed? They are all over my sandbed. mine aren't horrid or actively killing coral at this point but I am going to attempt to introduce additional bacteria via bacteria in a bottle of various kinds as well as dosing with phyto. We'll see where that gets me. What bacteria will you be going with? I'm going to use Dr. Tim's one and only & Eco-Balance as well as MB7 and Bio-Spira. They're likely all mixes of the same 2-3 strains but I'm willing to try them all to see. I'm going to add some air stones overnight to keep the oxygen levels up and dose slightly above suggested dosing. I'll probably wait and add the phyto after I'm done doing the bacteria. I started with all dry rock, and it's my thought that I have a very limited number of types. I'm not a biologist though, so it's just as much a shot in the dark as other attempts. After this and phyto I'll regroup if no change in 3 months and look at an extended blackout. I tried dr tims one and only already. And ordering these bacteria's online may not be such a good idea since they will come in a box without proper packaging and endure very cold weather which may kill the bacterias. Just my opinion. Dinos are everywhere. It's like the common cold. ?you only catch it if your immune system is depressed. I'd recommend selling or giving them to someone with a mature stable tank. I've often thought that aquarium stores should run pet-hotel tanks with individual UV and you can pay for the accommodations until you're ready. Or sell them if it's going to take a while. Yep that is absolutely true of those not in spore form. Since I didn't explicitly state it, I'll also be continuing the manual removal that has kept them mostly at bay as well as the water changes that likely are fueling them. I'm not willing to give up coral growth I'm seeing just yet. How do you manual remove them? With filter socks? I bought filter socks online for 6.50 each but they aren't washable, so I use them once and throw them away. Can get quite expensive. I've been using a vacuum/siphon and simply sucking them out of the tank and replacing with new salt water. That method isn't going to irradiate them obviously. 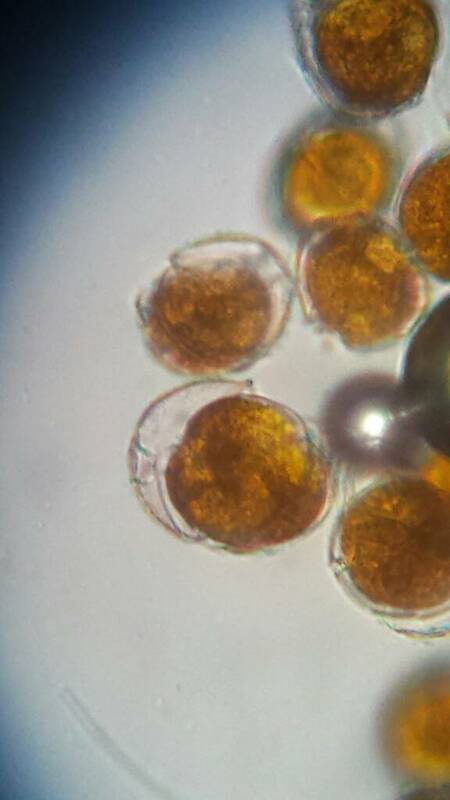 as like cyano you can't get every cell. I keeps them at low enough levels if done daily that I feel like I've got room for another bacteria to compete? Again, pure grade-A speculation. I really think you should give the dirty method more time. I know it's frustrating but according to your previous posts you've been at this method for about a week, right? Other people in this thread have said that it takes several weeks to show results. Starting over is an individual choice, sure, but a ton of evidence presented here says that dirty method works given time and starting over can be very expensive. I bought filter socks online for 6.50 each but they aren't washable, so I use them once and throw them away. Can get quite expensive. Have you considered making your own? Sadly I don't think that's good advice to tell someone with dinos to knowingly sell/give/trade their corals to someone else. That is exactly how I got them. I've ran a reef tank for over 10 years and never had a problem until I bought corals from someone that had them. The very next day was when I started seeing the stringy, slimy, dinos on my corals and by the end of the week my tank was fully covered in them. I even dipped the corals like I always do. I know it came from the frags because searching through my local forums I saw that the guy I bought the corals from asked for advice about how to get rid of them. I even contacted him and he said he had them before and was able to get rid of them through water changes. Clearly he was lying. I've seen a lot of other local reefers lately getting them and it's spreading. They don't just come from nowhere. All tanks may have some form of dinos such as zooxanthelle but not all tanks have every kind like ostreopsis and amphidium. 3 days in, Operation: Grow Algae has so far, not shown any signs of increasing algae, but the dinos have intensified very noticeably. Still no harmful livestock effects that I can see, so that's good. The patch at the front of the tank with the species I haven't ID yet has gotten thick enough I could siphon a hunk of pure dinos. I took a series of this view shifting focal plane slightly on each shot, Google photos stitched it into an animation. I think I let the sample dry, then added water back, seemed to separate the armor off the dinos. I'll stop spamming thread with pics for ID, since this is about the best I can do. Working my way through this link http://botany.si.edu/references/dinoflag/ to see what I come up with. I can only tell you what I did. 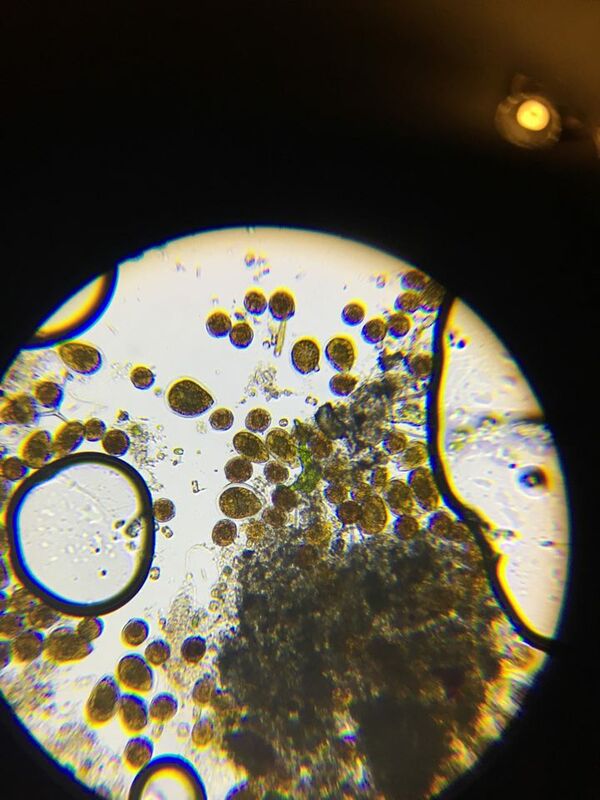 I do have a BS in Microbiology and used that knowledge to try and approach this in a natural way. A newbie to reef aquariums, however,and my first bout of Dinos. 1. I decreased my photoperiod to 5 hours a day. 4. Aggressive wet skimming. Replaced the skimmate with fresh saltwater. Trying to deplete any other nutrients the dinos may be living on. 5. Siphoning the dinos into a filter sock in the sump every day. 6. Used Coral Snow mixed with Zeobak every morning before lights came on every day. Coral Snow is supposed to adsorb organics from the water column and Zeobak are another bacteria source. 8. 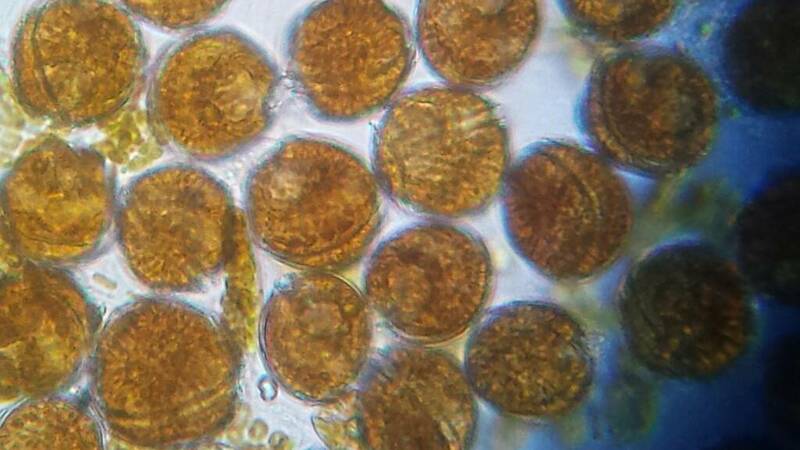 Phytoplankton and Pods from Algaebarn. Much of what I did is also recommended as a treatment for Cyano. After a month, lights are back up, no dinos and only lost half of a birdsnest coral to the dinos. Red Sea Reefer 450, Geisemann Aurora, Vertex 150 Skimmer. Just getting started. Have no idea how to make my own. And I want to give it more time, but the dinos are getting worse with the dirty method. I never use to have stringy snot, now I do. Before, it looked like diatoms all over. Now it looks like diatoms and stringy snot. I don't think the dirty method is the way to go with my type. 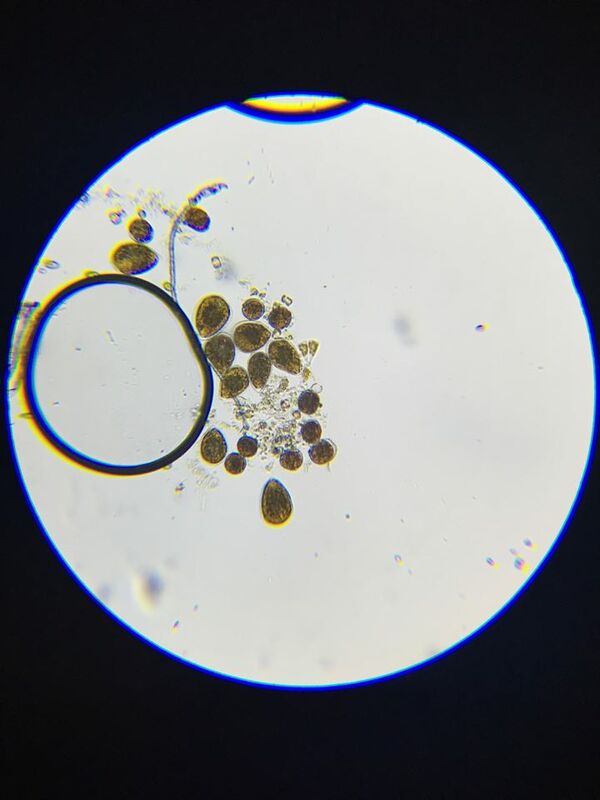 Really wish I had a microscope to identify my crap. Have you gotten rid of yours? Thanks for the advice. What kind of pods did you add and how many? And how often did you dose phyto? and how much? hello. 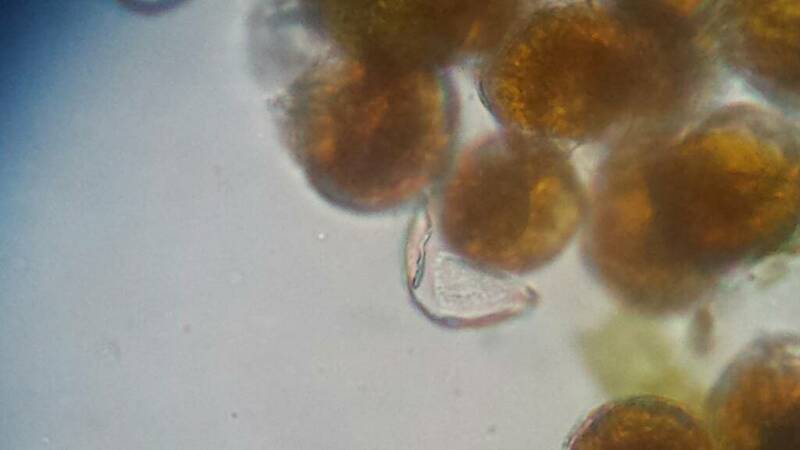 does anybody have a link to a resource for ID of the dinoflagellates? i saw a link earlier this page i will check that out but if there's any other resource please share. what do you guys think of these bad boys? my dino outbreak started from after i cleaned my sump and reduced phos to 0 and nitrates very fast and then dumping shot of vodka every night. 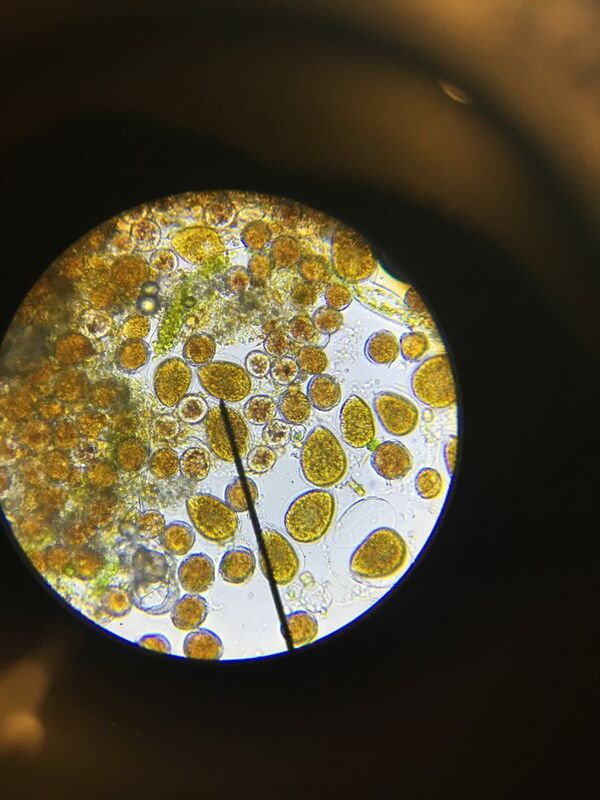 now i am feed much more, adding H2O2, phyto, and will culture copepods in the hopes of more competition and hostility environemtn for this annoying organisms.